Titanfall is a multi-player game with as many as 12 players. After choosing the pilot types, players begin by killing other players. The only way to play is in the online mode with multiple gamers. Titans fall from the sky when summoned. A player controls the mechanical giant or fights it with an extensive cache of weapons such as sniper rifles, smart pistols, and machine guns. Pilots tap into their ability to boost speed and become invisible so as to take down other pilots and Titans. Don’t fear Titans. Weaken them by removing their battery. Drop a grenade inside the Titan to destroy it. After climbing to the top, shoot the Titan’s weak spot. Alternatively, use your weapons that are specifically designed to destroy the mechanical warrior, anti-Titan. All pilots have them. Be careful though because Titans have cannons and rocket launchers! If you’re playing the game by running on the ground, alter your game plan. Wall jumps and runs help players obtain the highest speeds. Forward movement is protection. It’s harder to hit a pilot when he’s in motion. Shooting from the wall won’t slow you down, so don’t hesitate to let it rip. If you run out of ammunition, an enemy’s weapon will do. Pick one up and continue to fire. 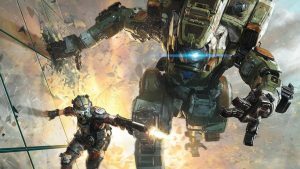 Titanfall 2 has some upgrades, including a network system that allows players to meet, befriend, and play the same gamers regularly. Once you get to understand your teammates, the team will win more as you get used to playing together.